We want YOU to work for Goodwill! Stop by our booth at Milwaukee's 16th Annual Diversity Employment Day Career Fair on Thursday, September 22 at the Milwaukee County War Memorial Center in Milwaukee. Goodwill is excited to take part in Rock the Green, Milwaukee’s near-zero waste sustainability festival. The festival will take place Saturday, September 17 at Milwaukee’s Reed Street Yards. Goodwill will be on-site selling upcycled concert tees, provided by our Goodwill Store & Donation Centers and laundered by Goodwill Laundry & Linen Services! Tee shirts are sold exclusively at the festival, so don’t miss out! 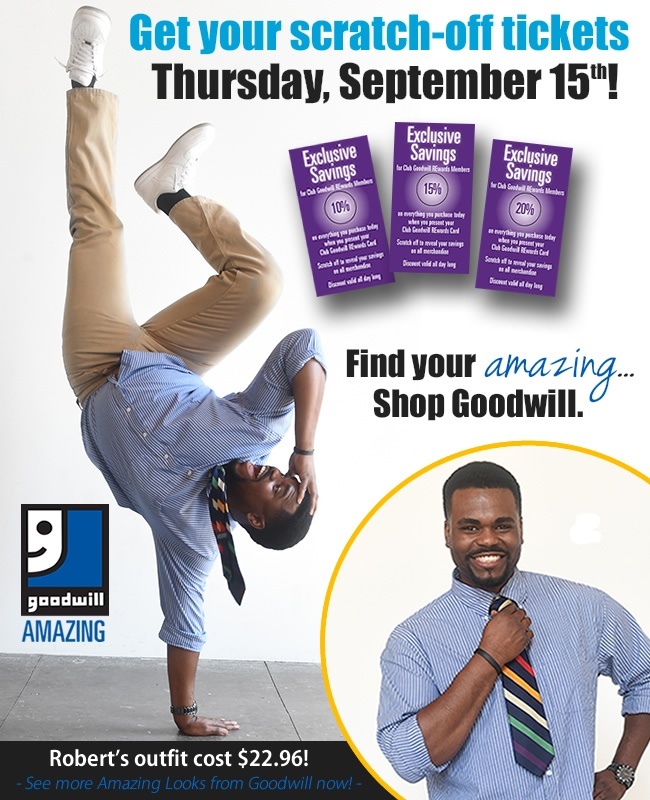 The Goodwill Sale from Bon-Ton begins September 14th and will run through October 1st. During that time, customers will receive a Goodwill Sale coupon for every item they donate at any Boston Store, Younkers or Carson Pirie Scott.